Smart, slim line Kutch Indian silver on black hardwood shaft. 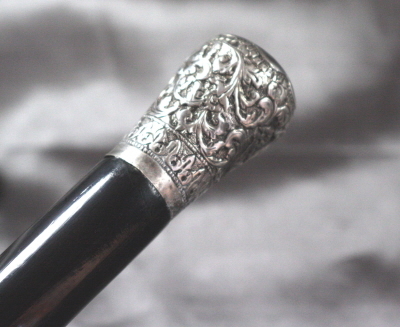 The cane finished with base metal ferrule. Pommel free from breaks or cracks. Shaft free from breaks or cracks and undergone re-polishing.